We’re back with part 14 of Overheard in Product—a series where we round up all of the tantalizing conversations from product folks that you may have missed on the web last week. 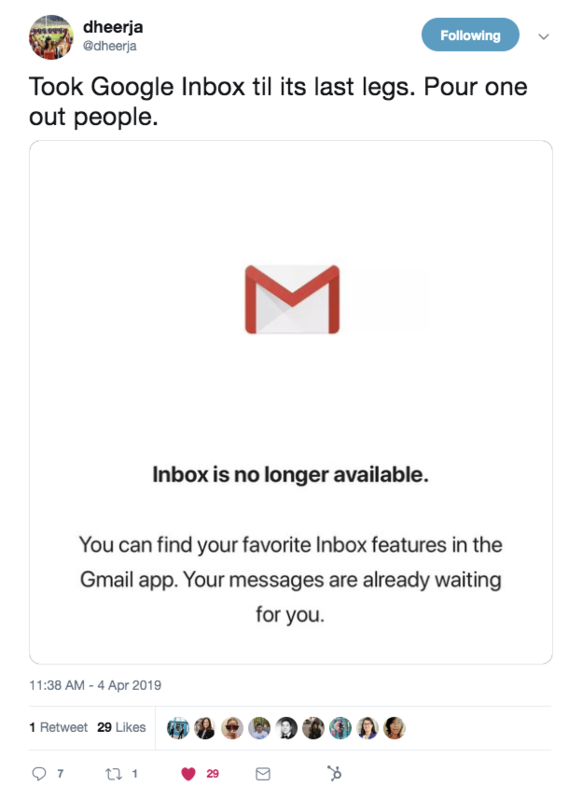 This week, we talk about the demise of Google Inbox, the evolution of design careers, why UX needs U, a surprise activation monster, and how to wordlessly get your point across. Dheerja Kaur, CPO at theSkimm, poured one out for Google Inbox. Food for thought: What features did you like most about Inbox? How can you implement similarly sticky features in your product? 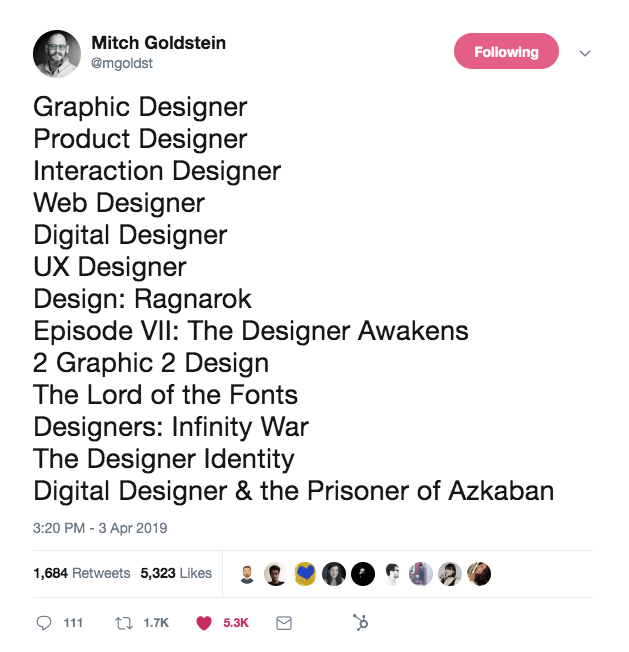 Mitch Goldstein, a Professor at the Rochester Institute of Technology’s College of Art and Design, documented the evolution of design titles pretty accurately. The best part of this tweet might be the thread that followed. Folks hopped on with their own movie and TV franchise design puns including bangers like Game of Tones; Honey, I Shrunk the Font; and Little Photoshop of Horrors. 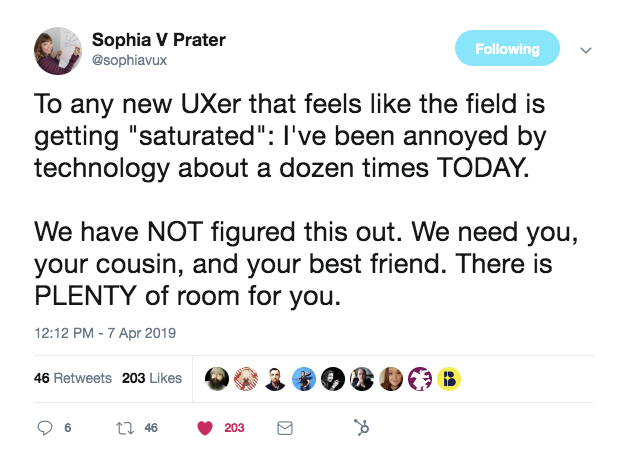 Sophia V. Prater, founder of Rewired, encouraged folks to join the UX field. Food for thought: What kind of non-traditional background would be useful for someone transitioning into UX? 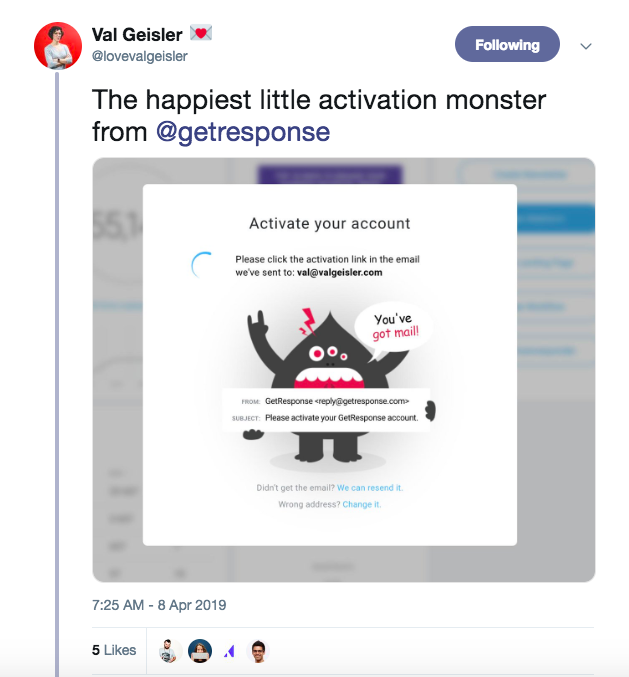 Email conversion strategist Val Geisler shared some really good UX from GetResponse. GetResponse also included an opt-in user onboarding product tour—giving users the option of getting walked around the product or jumping in straight away. This edition of Quartz Obsession looked at how universal vocal bursts (non-verbal sounds like “mmm” or “argh”) are across languages. It’s chock full of interesting facts—like which emotions are most recognizable in a vocal burst, the different ways we say “ouch,” and the only sound that’s common across 31 languages studied.